CRHI’s Health-e-Schools program wanted to expand telehealth offerings to over 20 schools in Burke County, North Carolina, on a limited grant-funded budget. The telehealth carts previously used in schools were expensive and not always reliable, so they needed a better solution. CRHI turned to TytoCare’s portable, affordable solutions. Tyto was able to provide telehealth coverage at a significantly lower cost with greater reliability and ease of use. CRHI is now expanding the program beyond Burke County into other school districts. Advocate Children’s Hospital conducted a four-month study comparing Tyto to standard-of-care, phone-based telehealth for children with medical complexities (CMC). The study was recently published in the Journal of Telemedicine and eHealth. 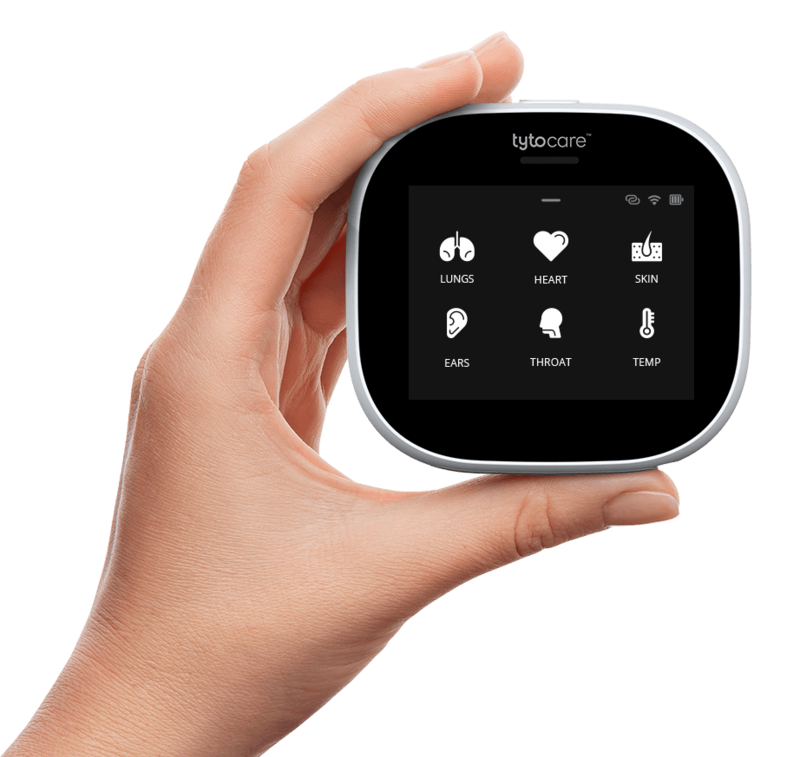 One of the nation’s largest health system and insurance providers offered Tyto devices to its visiting nurses in order to provide their patients with a physician examination and medical consult with a remote doctor from the comfort of their homes. The program enabled doctors to see four times more patients than in-person visits, 84% of the patients were successfully treated remotely and did not require in-person follow-up, and 11% of patients avoided unnecessary visits to the ER or urgent care. In a prospective study of children ages 2 to 18 presenting to an emergency department, participants were examined using a Tyto device (evaluated remotely by a physician) and in person using conventional physical examination tools (otoscopes and stethoscopes). The Tyto and in-person examination findings were then compared and analyzed. The study investigators concluded that the examinations using the Tyto device were as safe and effective as conventional physical examinations. In a prospective clinical study, TytoCare exam data was evaluated and compared to exams captured by FDA-cleared, stand-alone digital examination devices (digital otoscope and stethoscope). Ear images and heart and lung sounds from 50 pediatric patients were acquired using Tyto and a standard-of-care digital otoscope and stethoscope. The data was loaded onto a secure server and reviewed by eight physicians (randomized and blinded). Analysis of the data showed that the images and sounds acquired using the Tyto device not only were sufficient for diagnosis but were in fact superior to those acquired through the standard-of-care digital devices. The study was recently accepted for publication in the Journal of Telemedicine and eHealth.